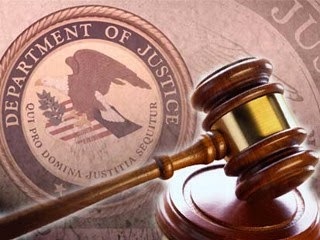 The Justice Department announced today that Jerry Chun Shing Lee, 53, of Hong Kong, was indicted by a federal grand jury sitting in the Eastern District of Virginia with one count of conspiracy to gather or deliver national defense information to aid a foreign government, and two counts of unlawfully retaining documents related to the national defense. Lee is a U.S. citizen who speaks fluent Chinese. According to the indictment, Lee was a case officer for the Central Intelligence Agency (CIA) until 2007. After leaving the CIA, Lee resided in Hong Kong. The indictment alleges that in April 2010, two Chinese intelligence officers (IOs) approached Lee and offered to pay him for information. The indictment alleges that Lee received taskings from the IOs until at least 2011. The taskings allegedly requested that Lee provide documents and information relating to the national defense of the United States. According to the indictment, the IOs provided Lee with a series of email addresses so that he could communicate covertly with them. The indictment further alleges that Lee prepared documents responsive to the taskings, made numerous unexplained cash deposits, and repeatedly lied to the U.S. government during voluntary interviews when asked about travel to China and his actions overseas. In August 2012, Lee and his family left Hong Kong to return to the United States to live in northern Virginia. While traveling back to the United States, Lee and his family had hotel stays in Hawaii and Virginia. During each of the hotel stays, FBI agents conducted court-authorized searches of Lee’s room and luggage, and found that Lee was in unauthorized possession of materials relating to the national defense. Specifically, agents found two books containing handwritten notes that contained classified information, including but not limited to, true names and phone numbers of assets and covert CIA employees, operational notes from asset meetings, operational meeting locations and locations of covert facilities. Agents also found a thumb drive on which was stored a document later determined to contain information classified at the Secret level. During voluntary interviews with the FBI, Lee admitted preparing the document in response to taskings from the IO.